So, I was preparing a new webinar teaching session the other week. I had done my research, the presentation was finished. The day before I generally have another read through the presentation…and I was not happy. Read on to find out why. I was not happy because I had not structured the presentation the way I always do. By that I mean this. When I teach about cancer I do so mainly to those who work in the field but have little or no cancer, or even science background. Therefore, I decided, very early on in my career to strip things back to basics and layer the learning. I had not done this with this presentation. I had assumed a level of knowledge. I quickly revised the presentation and made sure that the learning was layered to allow everyone attending to move through and build on their learning as the webinar progressed. This is what I do. I bring complex terminology across in a way that is understandable to others. But how is this done? It is certainly not done by chance. Each of my teaching sessions are thought through and are borne out of years of trial and error. Here I would like to share with you some of the things that I have learned over the last 30 years of teaching & learning experience. Although my various degrees are in education I am certainly no expert in education. I do not read lots of ‘presentation skills’ type books, and those that I have read, I admit I threw them out many years ago! These hints & tips are there to help those who might find them helpful. They are there to stimulate discussion and they are there because I am always open to critical feedback. If you are teaching about a complex subject, then you must layer up the learning. Start from the basics and move through at a pace which is commensurate with the group you are teaching. I do not start teaching about cancer until the group has a general understanding of what the ‘normal’ body consists of. Cancer is ‘abnormal you’, so to understand abnormal you, it is first important to know about ‘normal you’ in terms of cells & tissues. Then we can move on to learning about cancer. By layering the learning, you will bring the group with you and ensure that everyone can maximise their learning opportunity in the time you have together. 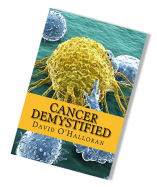 I have been in the cancer field for around 30 years and would argue that I know quite a bit about the disease, but I do not know everything! There are always some people in the room who have more knowledge in certain areas. Or have an insight into something that they are working on which is beneficial to the group. Do not feel that you must be the oracle on everything. Use the expertise in the room. Admit when you do not know something and ask if anyone has anything to offer. Always offer to research the area and feedback to the person who might have asked the question! I have found it important to use different teaching tools to get the message across. Some people are fine with PowerPoint presentations; some people prefer the written word on a handout for example. Others yet like diagrams and pictures, whilst others still will prefer videos and clips. Mix it up a bit. Be aware that different people learn in different ways and demonstrate that you can cater for these different learning types. Where possible use analogies to bring across difficult and complex ideas. I often use a piece of paper which I crumple up to simulate a poorly differentiated cancer cell. The analogy is not perfect, but people ‘get it’, and the amount of lightbulb moments had with this simple analogy defies belief. 4. Get rid of the desk! I must admit, this is a pet hate of mine. I have seen to many lecturers, teachers, facilitators, call them what you like, hide behind their desks. To me the desk is a barrier to effective learning. Yes, your attendees might prefer a desk, they might have to write things and that is perfectly understandable. But do you need to stand behind a podium? or sit at a desk? Not in my opinion. Getting rid of the desk allows you to be more approachable. Having a desk makes it too much like school and your attendees will not thank you for that. Without the desk, you may feel more vulnerable, but that is OK. This apparent vulnerability makes you part of the group. This is a learning environment and being part of the group will allow you to bring your learning across in a more friendly and safe environment. A friendly and safe environment is crucial in make attendees feel comfortable. It allows them to ask that ‘stupid’ question, because they are not afraid of being told off by the teacher! 5. Use Learning reinforcement instead of tests! Unless you are preparing for an exam where a pass mark is essential! Learning reinforcement places a different emphasis on what is required. I always refer to 'Learning Reinforcement Exercises’ rather than ‘Test’. I use it on any agenda, I say it during the sessions. Why? Because I want attendees to understand that getting it right is not the point here, but understanding is! Sometimes when people get a question ‘wrong’ it allows for a whole new learning opportunity where you can ‘reinforce’ the learning point at hand. Don’t expect people to 'get it' straight away. It may take two, three, four…even more times for it to sink in. Do not be afraid to repeat salient points. Ask questions so that to make sure people understand. After each break, before continuing with the next session I always go over what we have previously covered. I ask if my attendees have any questions, if they do, great…if they do not…I do not assume they know it so I will fire off a couple of questions to gauge understanding! Remember, you are there to facilitate their learning…that is your role! 7. Be prepared!... And be prepared to adapt! “Best laid plans and all…” It is important that you prepare as well as you can for each session. Research your material, make sure you have all your handouts. Get to the teaching/meeting/conference room early so that you can get set up. Nothing worse, in my opinion, to be rushing around setting up whilst attendees are arriving. Yes, there are always attendees that arrive particularly early, that cannot be helped, but try and make sure that everything is set up for when people arrive. When people arrive, greet them personally if you can (in very large groups this might not be possible). I always think that this personal approach makes people feel more comfortable and you more approachable during the session. But, even after all the best preparation, things can and do go wrong. There is a fire alarm! The projectors do not work! You have forgotten something! Be adaptable, go with the flow. How you react in those circumstances sets the tone for the whole day. Stay focused, relax, explain what is going on and continue to do the best that you can. If you are honest with your attendees and include them, they will forgive you most of the time! 8. DO NOT READ FROM YOUR SLIDES! Capitalised for greater effect! I detest this! I have been to so many teaching sessions and presentation where people just read from the slides. Give me the slide and I can read it myself…thank you. When you are reading from your slides, it demonstrates to me that you are not comfortable with the subject area. Looking at your slides means you are not looking at your attendees. Your attendees are coming to your session to gain some insight. You need to engage with them. You do this by looking at them. Make them feel that you are focussed on their learning and that their learning is important to you. This cannot happen if you are just reading from your slides. You are going through the motions; you are not focussed on what matters and that is your attendees’ learning. This goes back to the previous point of being prepared. 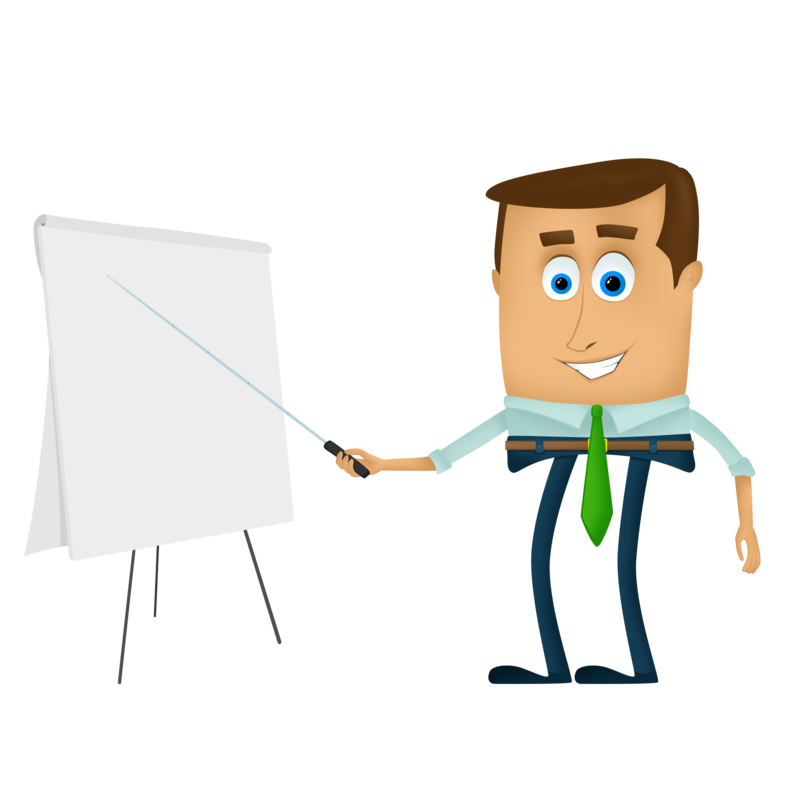 A PowerPoint presentation should give headlines about salient points, and you should be able to talk around and through the slide, giving insight and background to what is presented. That’s why you are there…you are the value added of the PowerPoint presentation. I am sure I have forgotten some other useful hints & tips, and if I remember them I will post them here in a further edition. If you have any hints or advise that could help me or others, then please share them here in the comments. Although I teach about cancer, most of what I am discussing here is transferable across all sectors. If you need help in improving your presentation skills and/or style, then feel free to get in touch. And please share this article if you feel it will benefit others. David is a renowned specialist in cancer education and training. He runs cancer training for Cancer Research UK, National Cancer Registration & Analysis Service, Clinical Coders throughout the UK, Clinical Trials Units across the UK. With over 25 years of teaching experience you are guaranteed high quality cancer education and training.